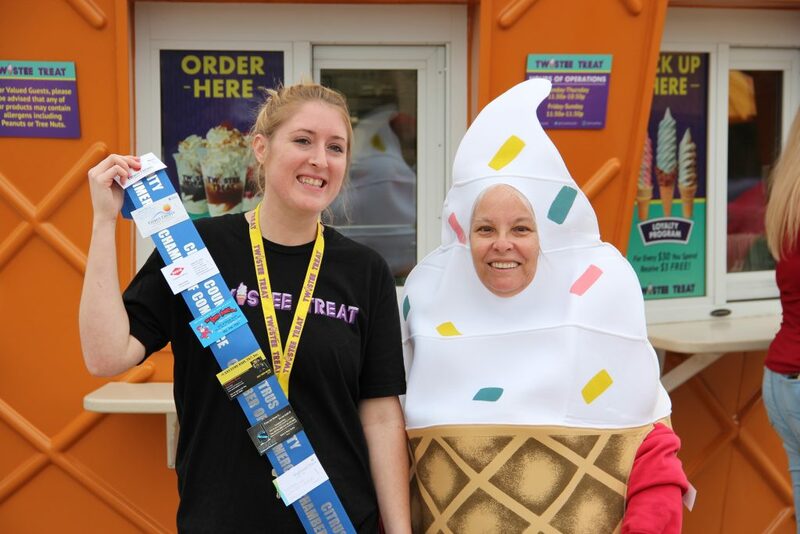 Twistee Treat USA has welcomed Twistee Treat Homosassa to the family. The store officially opened December 11, 2018, but we wanted to have a party with the local community to celebrate! The clouds didn’t keep anyone from having a blast during the event. Family and friends enjoyed ice cream, trivia, coloring contests, chalk art on the patio, and face paintings. The Twistee Tent even made it out to allow everyone a chance to win free ice cream! Several lucky people went home with an extra smile! Twistee Treat Homosassa sits in front of the Winn-Dixie Plaza. We are on the corner of Homosassa Trail and 98 right in front of Tractor Supply Co. Twistee Treat Homosassa’s address is 3834 S Suncaost Blvd Homosassa, FL 34448. The new ice cream shop features all of your favorite Twistee Treat menu items including real homemade soft serve ice cream, slushies, sundaes, shakes, cookiewiches, waffle tacos, hot dogs and more. Thank you to everyone who attended our grand opening event. We were fortunate to have members of Citrus Country Chamber of Commerce coordinate an official ribbon cutting before our event. Part of the ribbon can be seen in our photo above. Even if you didn’t get the chance to stop by and see us that day, we hope you get the chance to visit us! 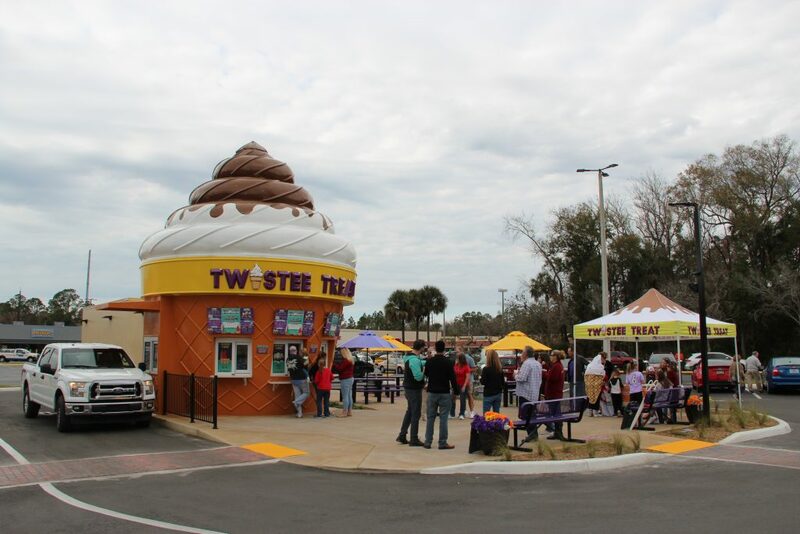 You can find our Twistee Treat Homosassa location on the map here. We’ll see you soon!